Here’s where to buy themini craft iron. Like I said, I found this hat at the Dollar Tree, though you could find them on Amazon or other places as well. Measure the area of the hat that you have available to be sure you size your design correctly. 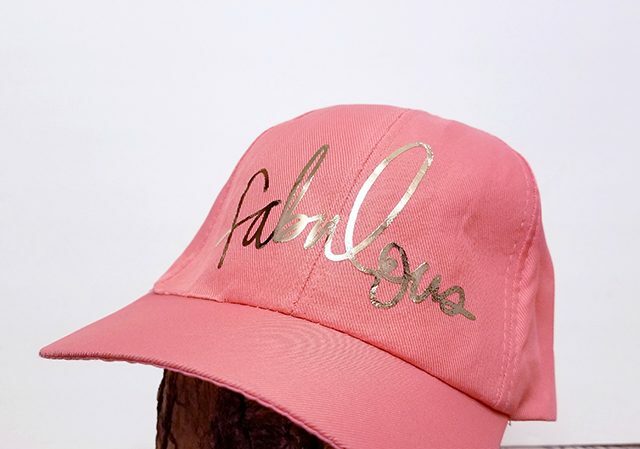 I simply chose the word “fabulous” (You can find it in Design Space by searching “fabulous” 🙂 Make it the right size, send it to the mat and make sure you hit Mirror before cutting. For more tips, read this post on using iron-on vinyl. 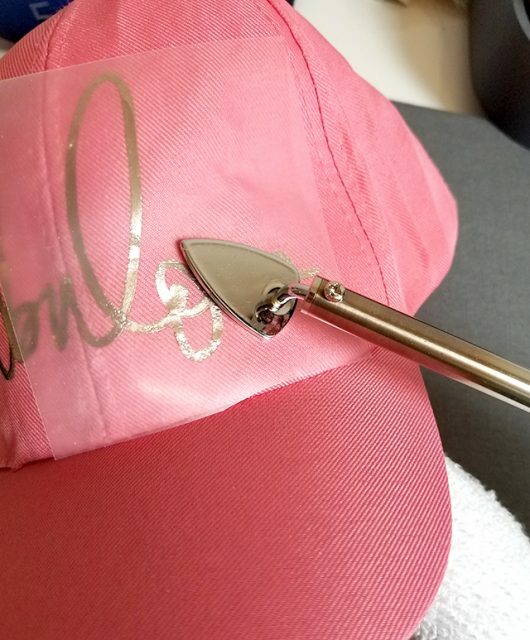 Weed out the extra vinyl and roll up a hand towel to stick inside the hat. This will give you something to iron down against. 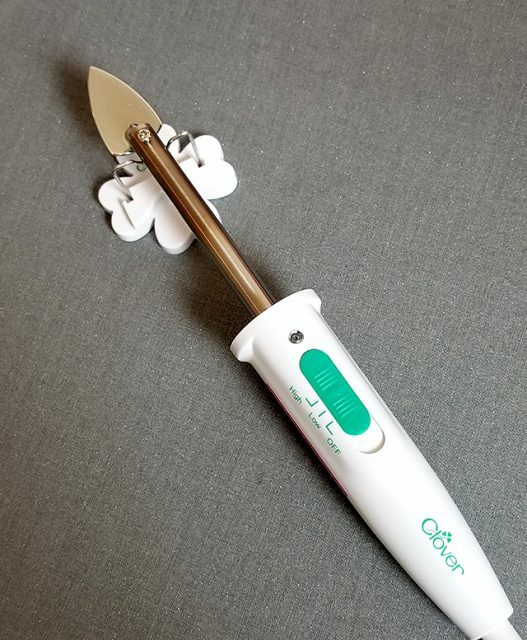 My first trick is that I used this mini craft iron – plug it in and turn to high heat. Since it has such a small surface, it’s great for maneuvering around the front of the hat. The second trick is to start ironing in the middle of the design. Make sure the iron-on is positioned where you want it, and then this helps it from shifting. Then move towards the edges. Since the temperature of the mini iron is less precise than the EasyPress, or even a household iron, you may need to do a bit of trial and error with pressing time. But I used the HIGH setting and ironed each section for about 20 seconds. Again, remember to have the towel pressed on the back side of where you’re ironing to protect your hands from the heat, and to give the iron something to push against. Since this is foil iron-on, remove the plastic sheet when the vinyl has cooled. 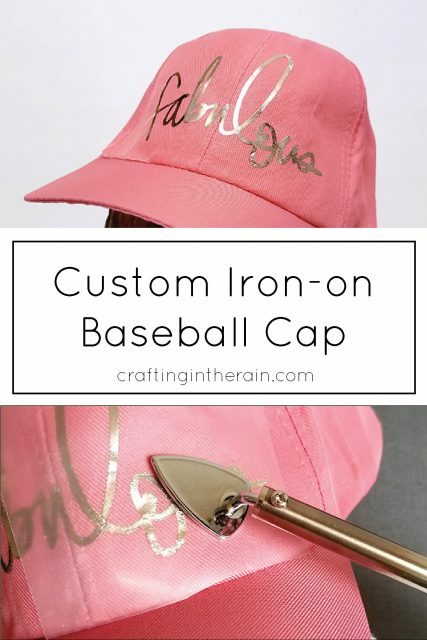 The shiny gold iron-on (buy some here) was perfect for my cute little pink hat – I hope you’ll make some too! Have any questions? Let me know!